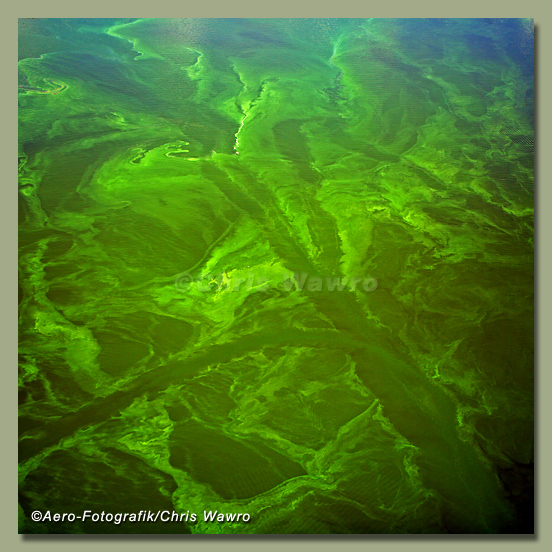 The presence of algae may not be the most desireable for boating, fishing or swimming, but when viewed from above, the patterns created by the wind and currents makes for some truly unique "natural art". Something not normally seen in a boat on the river. Wisconsin River, upper Dells area.